Just how much faster does world champion Sir Bradley Wiggins go than us mere mortals? A lot faster! We know Sir Bradley Wiggins is pretty handy on a bike, but its not often that the speed differential between a world champion time triallist and your average club rider is made as clear as it appears in this video (skip to 4-15 for the action). Shot from a rear mounted video camera attached to the seat post of a rider in front of Wiggins in the City RC 10 mile time trial on Saturday, the rainbow jersey appears, storms past, and then is gone, all within the blink of an eye. Wiggins went on to equal his personal best over 10 miles in the event, setting a time of 17-58. It was enough to win him the race but fell 38 seconds short of Alex Dowsett’s competition record over the distance of 17-20. 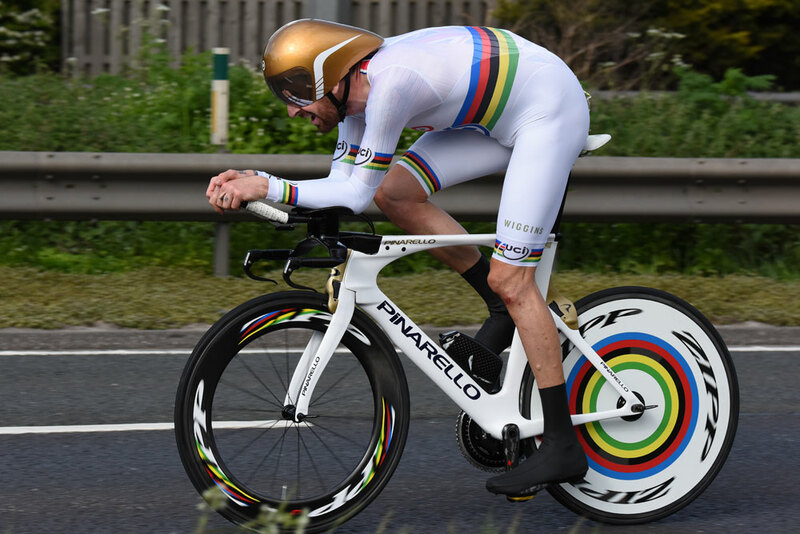 Meanwhile Wiggins’ minute man Andy Birdsall set his own personal best, managing to keep Wiggins at bay for over four minutes on the fast course on the A63 near Hull.